Absolutely beautiful. This is one of the few art museums that keep pulling me back in because of the big, colorful and fun exhibitions. 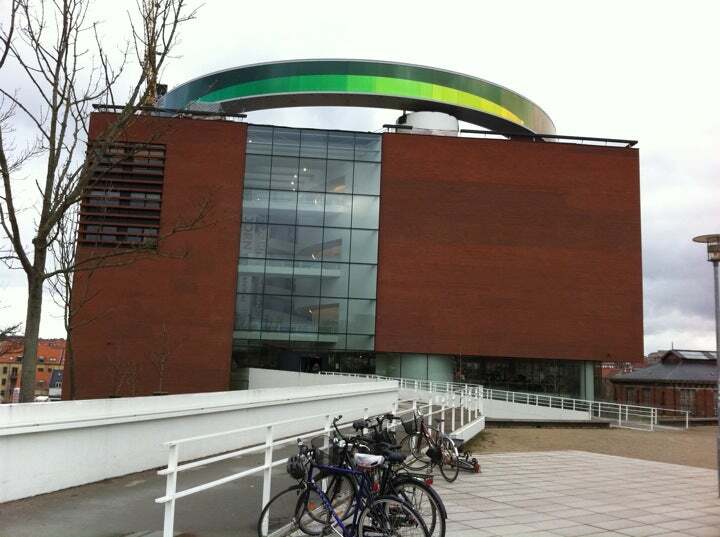 ARoS appeals to the general person so everyone I have brought there has been awed alongside me every time. 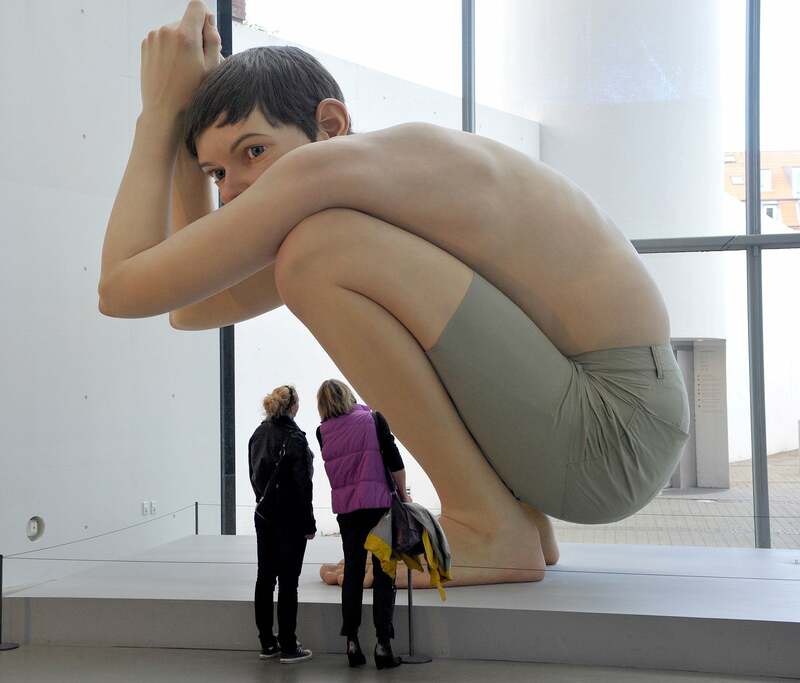 You can't fully comprehend the size of 'Boy' until you're looking right at it. Fantastic exhibitions and excellent food in the restaurant. Don't miss out on the Rainbow walk! Pretty, strange, creative, historic, funny - all kinds of artwork are housed at this museum. The rainbow panorama, however, tops them all. 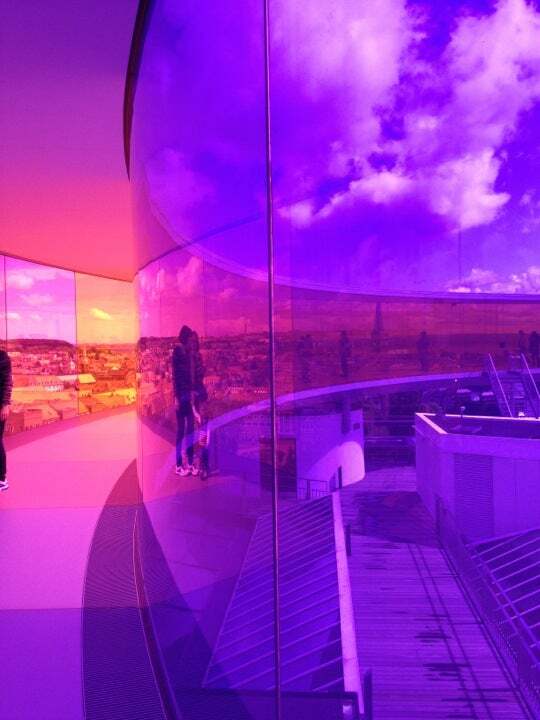 It is the one thing that truly makes ARoS stand out amid other art museums, and the views from the viewing deck make the trip completely worth it. 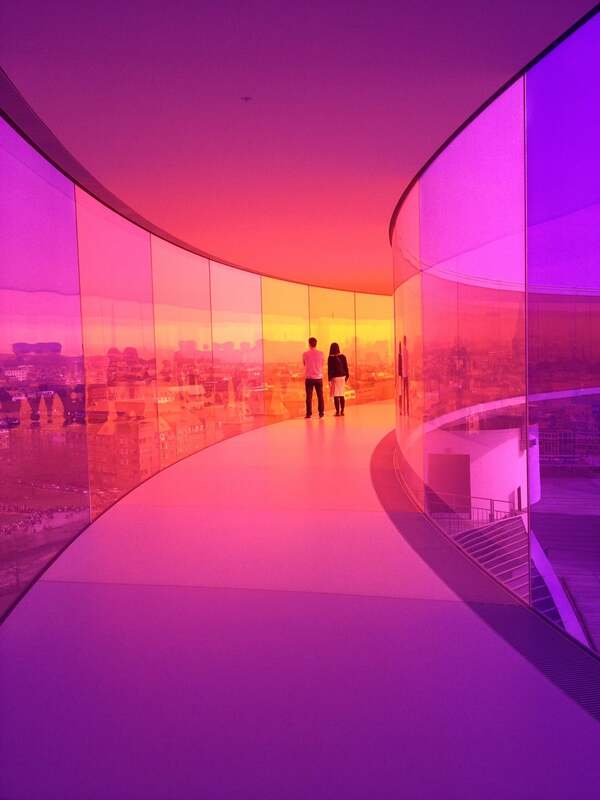 A fantastic museum, with some amazing colour installations. Give yourself a good half day to walk about and also take in the great views of the city from the top deck. A good four. 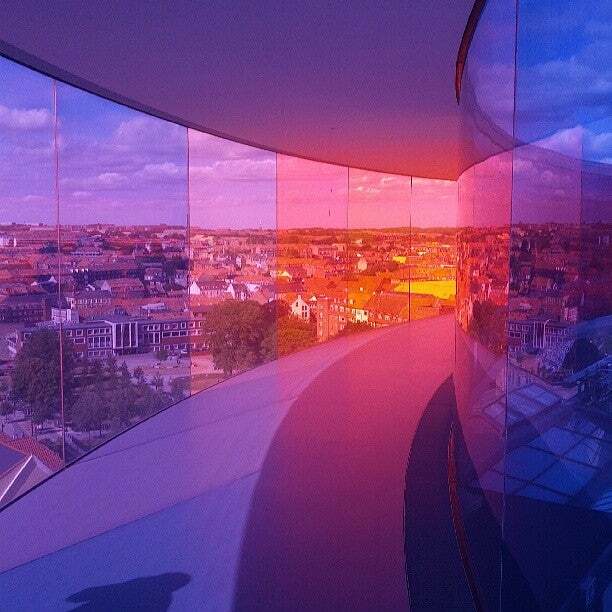 Lots of contemporary, modern and strange pieces of art work, the 'Rainbow Panorama' is a sight to see - you can se all of Aarhus from it. Definitely worth a visit! 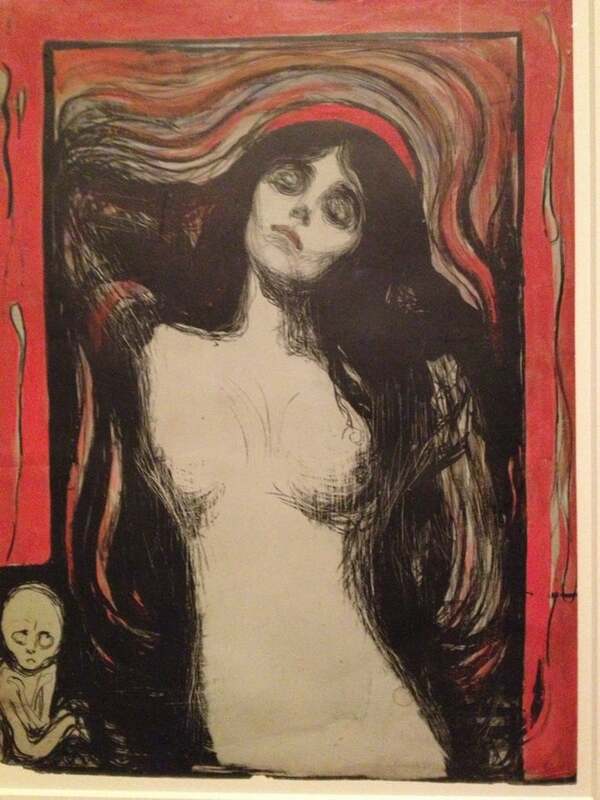 Fantastic gallery, giving a real insight (for me anyway) into the history of Danish art. Some excellent modern and contemporary work too, and very high class video/installation art in the basement. The train ticket here from Copenhagen was about $75 USD per person, and it was another $35 each for entry, but surprisingly, this museum was worth it. Nice cafe with great local cheese and charcuterie. Awesome panorama. 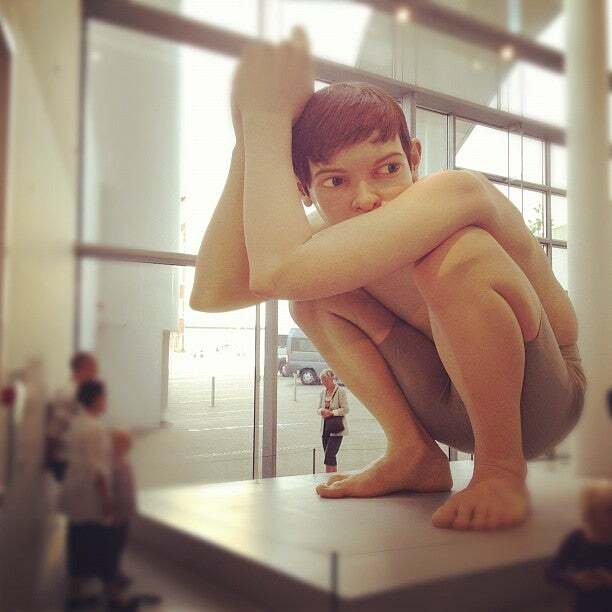 I loved every single exhibition which is a rarity for modern art museums. And the Rainbow Panorama is worth the trip alone. Interesting and definitely a must see in Århus. Shame it is so expensive and compared to other attractions world wide I decided to save the money. Afterall London offers free admission for loads attractions including art which would appeal more to me. Some wonderful art pieces on display, showcasing numerous ways of expressing oneself or ones ideas. 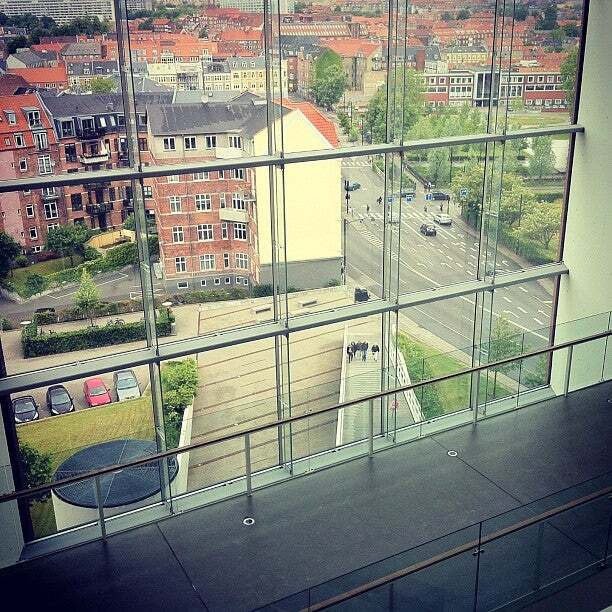 Definitely a place to visit if you ever find your self in Aarhus. We never go in vain. This time big installation throughout the hall is beautiful and fun and 8 amazing imaginative large recycled installations on the floor used for contemporary art. Beautiful museum. But a little boring from a collection perspective. The stories they tell are quite varied and seems out of place sometimes. Very good quality museum. Not very expensive compared how much there is to see. 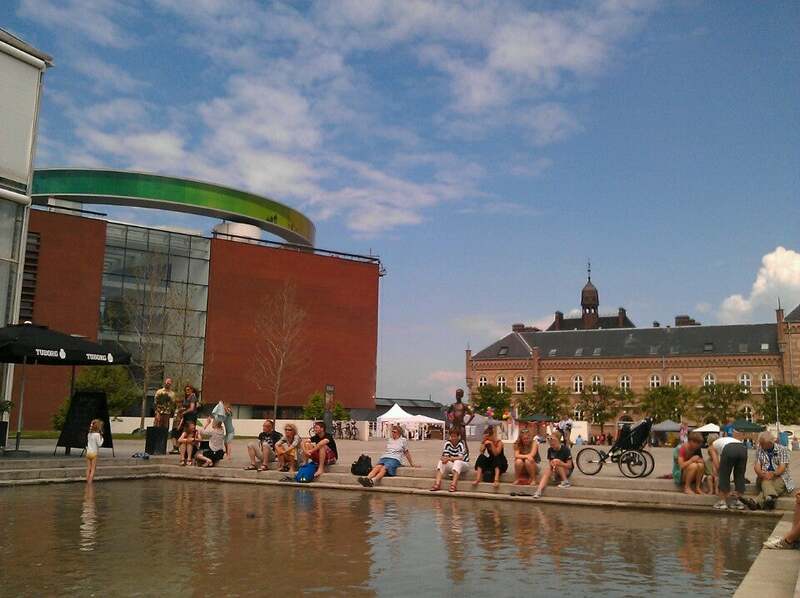 Far, but attracts visitors to Aarhus. What a lovely quirky place. An amazing variety of spaces and exhibitions all topped off by the colour panorama. A must see and experience. Lovely space with some fascinating exhibitions for young and old. Nice cafe downstairs and a great viewing platform at the top. Fun way to spend a few hours. Always interesting installations, the shop has a great selection of products. The cafe is good and the events are entertaining and ranging all ages and backgrounds. Great museum. 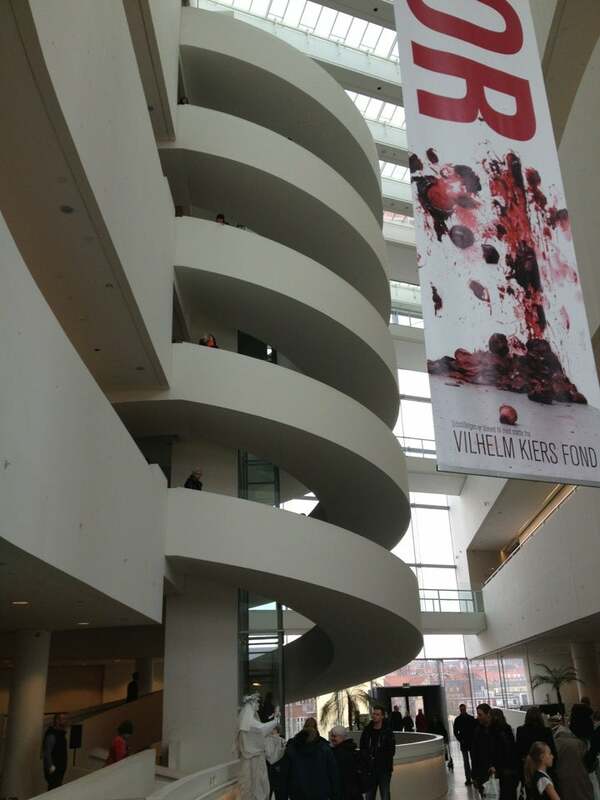 If you are on a visit in Aarhus, go there immediately! 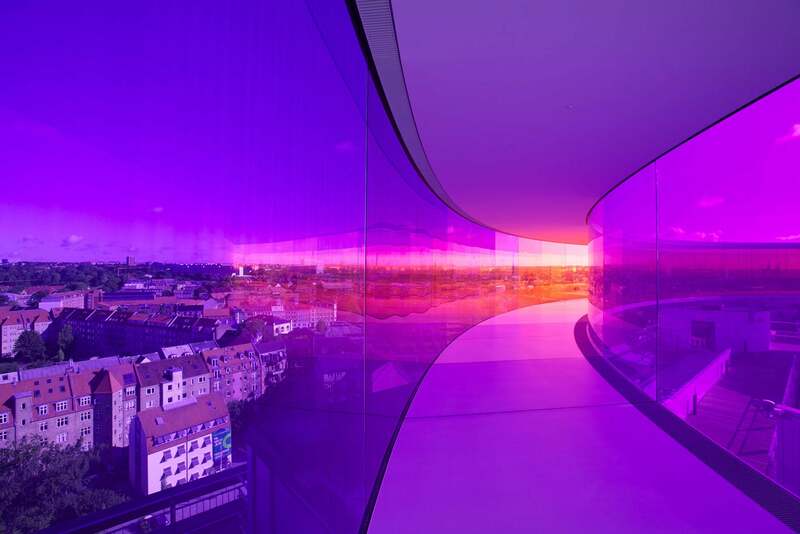 To see the city through the colors of the Rainbow Panorama is an experience by itself! Very cool exhibitions, especially the one that shows when stars go nova. 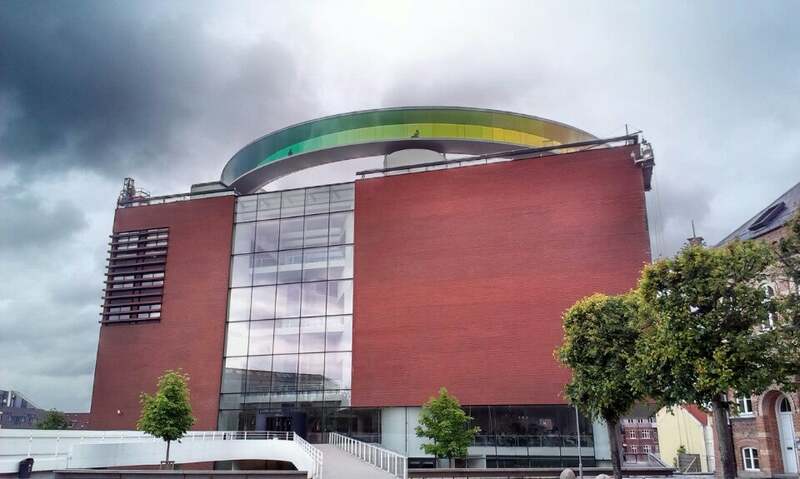 While art tends to not be my favorite thing, this museum really does it well, very cool things to see, and the rainbow panorama is amazing, especially at night. Great exhibits from top artists from around the world. 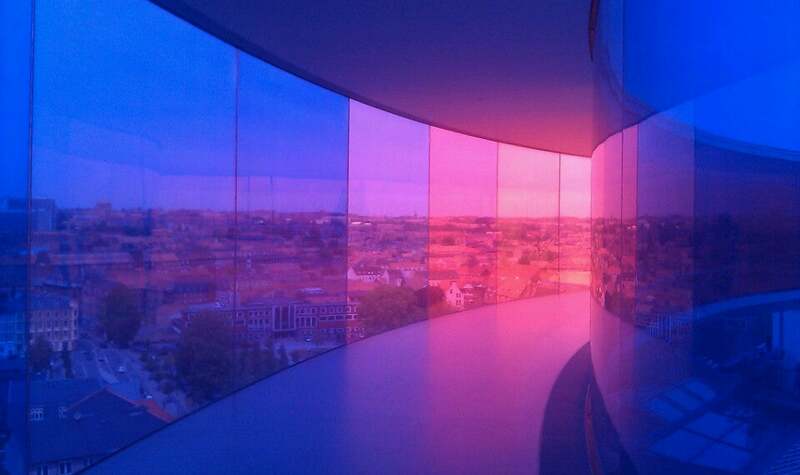 The colored panorama at the top of the building is worth the visit alone. 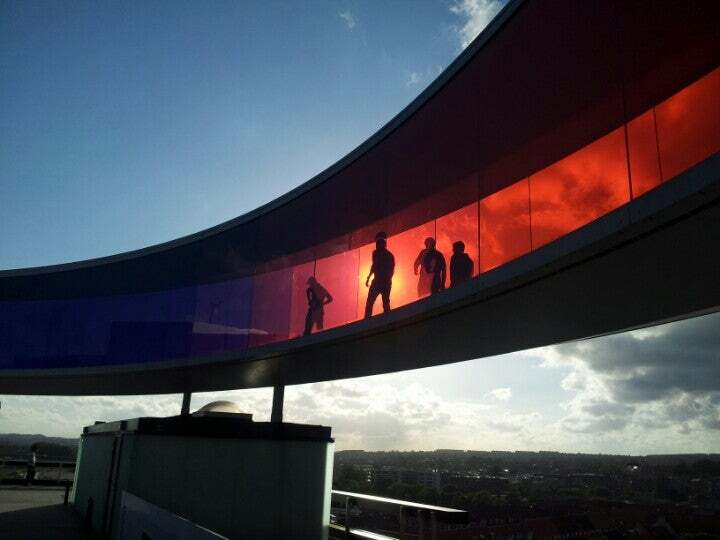 I had very good experience here, especially my visit was on Wednesday so I enjoyed both day and night veiw of Aarhus from the Rainbow Corridor! 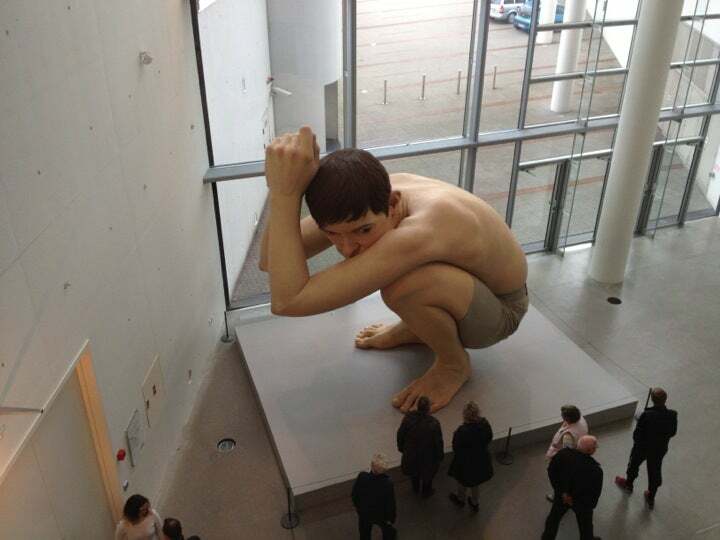 Although it is very "modern" there was also some figurative art on show. 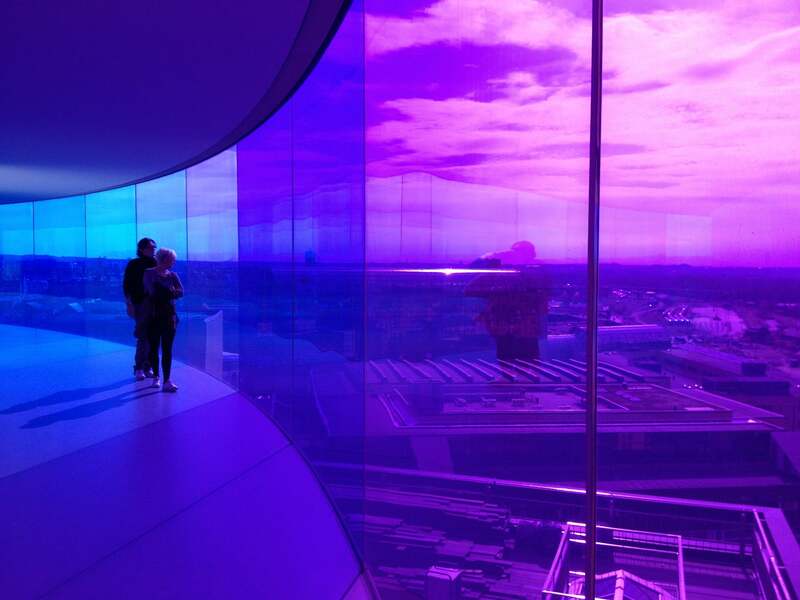 You can wander about on the walkway in the sky and see great views of Aarhus. It also has a café. Fascinating and not overwhelming museum! We very much liked the variety of exhibitions that were in the museum. On the top we enjoyed walking inside a 'rainbow'. 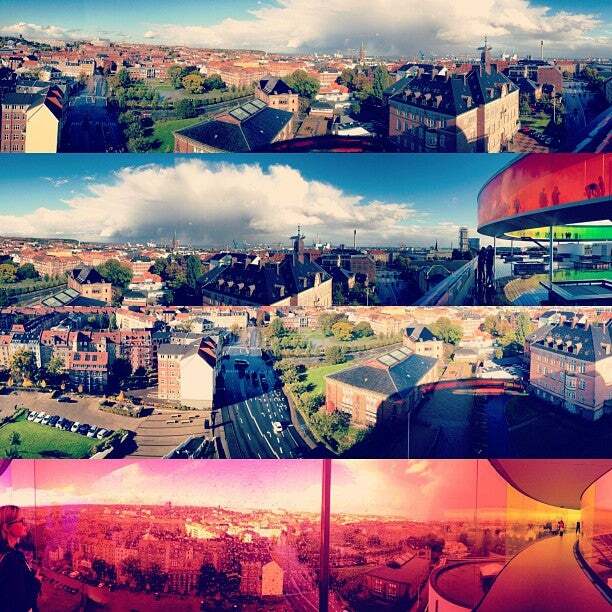 You can see Aarhus from the top of the museum and the colors of the rainbow give the city different faces. The museum has some classical exhibitions together with some modern and temporarily ones. 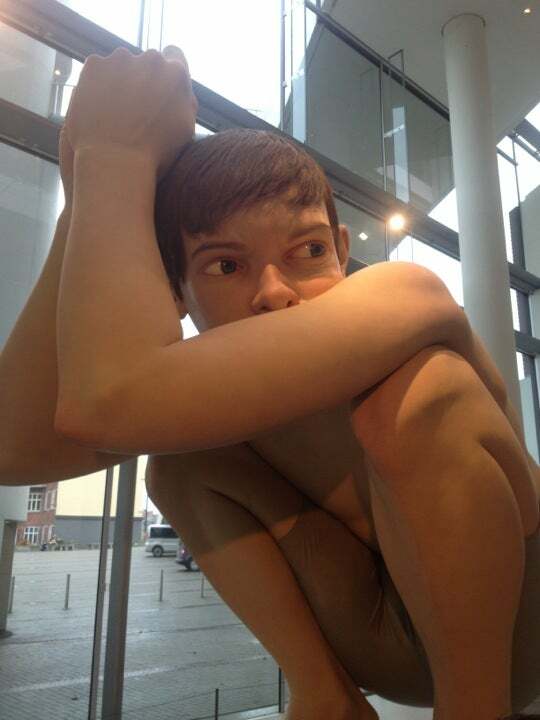 On the bottom floor you can see a mannequin of a boy that fascinates with his size, details and a realistic pose! The price is on a high side, but it is worth to visit. Even though it was overcrowded on the first, tickets sale floor, we didn't feel it is overcrowded as we were walking from floors to floors. The size of the museum allows everyone to have a space. 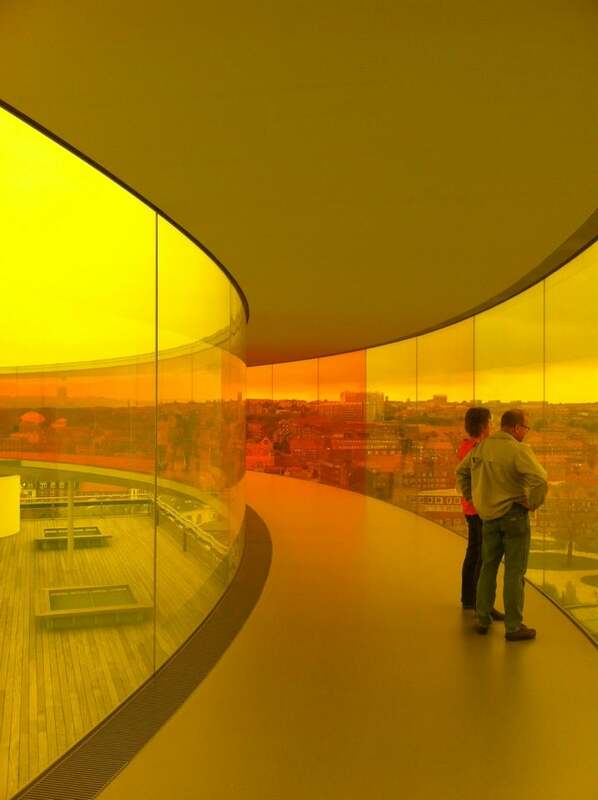 We recommend to visit this museum as a cultural highlight of Aarhus and Denmark in general. A really cool place. All exhibitions I've seen has been great. 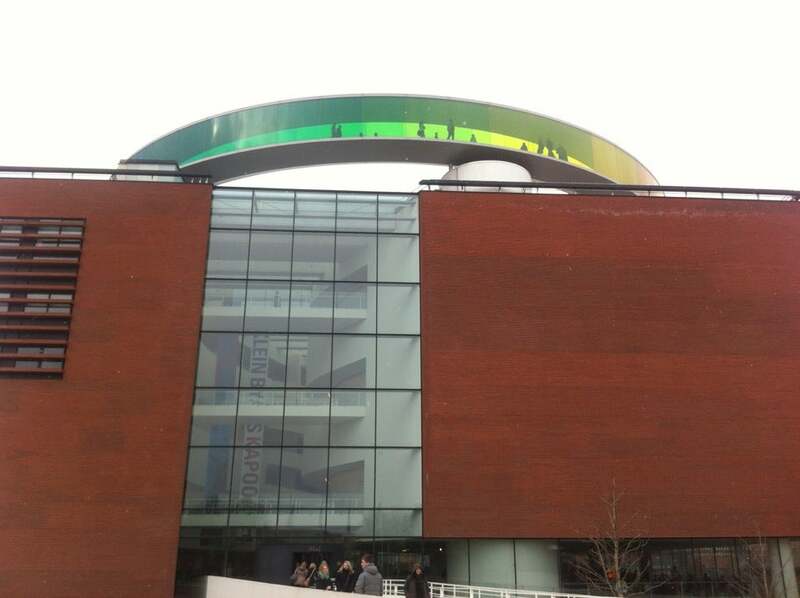 The rainbow installation on the roof is worth a visit in its own. Such a great museum. Can be a bit of a hassle to get around with a stroller, but other than that, no complaints at all. What a beautiful place, we had a very good time in it! 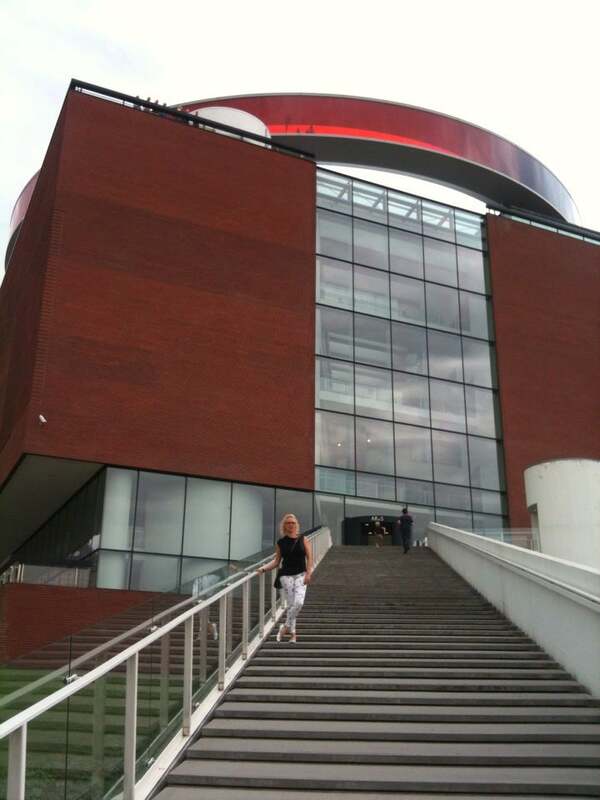 The rooftop was a lot of fun, but don't miss any of the exhibitions! There was an interactive one where you could jump on trampolines, it was like nothing I had seen before. 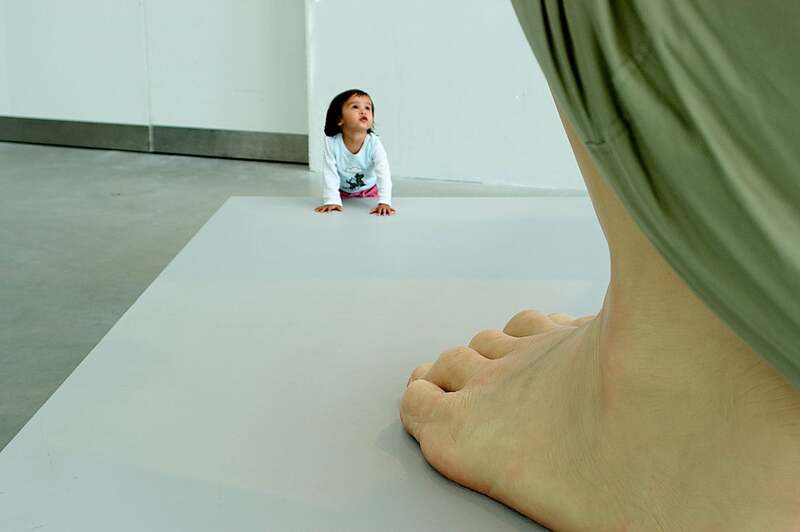 The exhibition where the giant kid is was also very interesting. 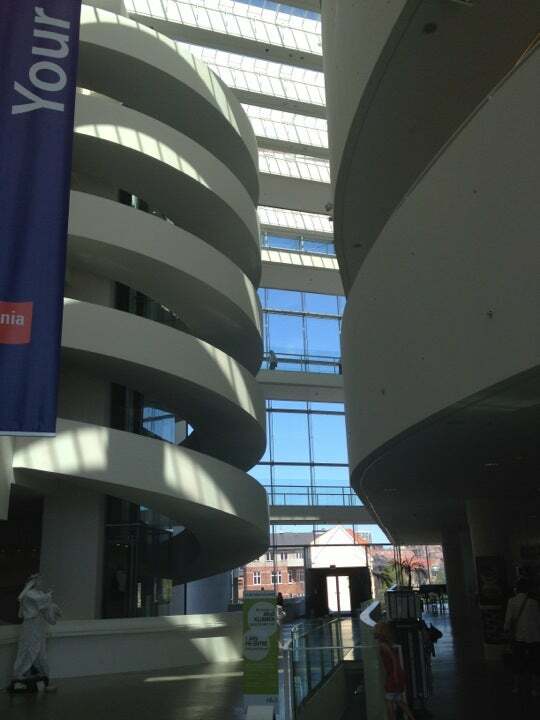 Beautiful building on the inside, and they often have interesting exhibitions too. Worth a visit. It is free to enter the museum, but you have to pay to see the exhibitions. Great museum with lots of differents art style. 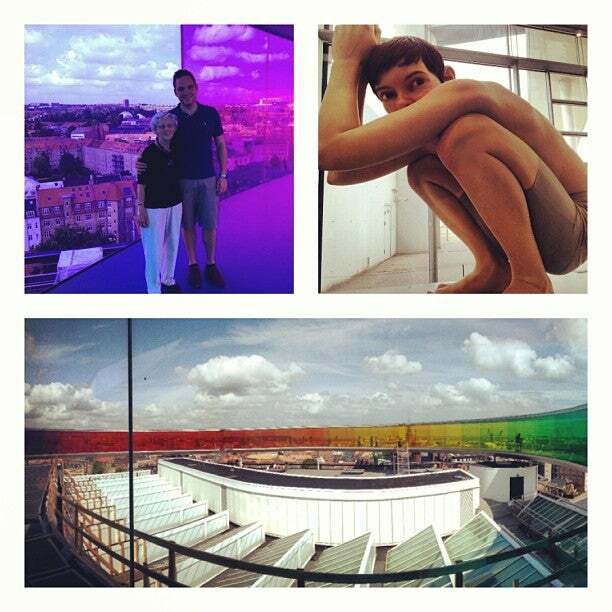 I particularly liked Robert Mapplethorpe's photos + the wonderful rainbow tunnel on the roof of the museum. I suggest you to go there ! [EDIT] Important: Always find out what’s open at the moment before going there! First Visit in august 2014: Very cool museum, quite unusual exhibition, you can easily spent there half an day Second Visit in august 2016: This time it was very different... 2 hours were too much 1) one of the biggest exhibitions was Very FAMILY_UNFRIENDLY, and probably also not too appropriate for religious people 2) the colorful fog room was closed. they said it is a permanent exhibition but available only sometimes... scam. 3) 2 levels were closed completely 4) the biggest exhibition was about some gay stuff, which is for sure a legit topic for art, but it was a bit overly dominating the whole exposition of the museum. it also wasn’t easy to grasp the point 5) otherwise, some art that looked not like modern, some art that looked exactly like modern :D few things to see for others than art students. Great museum in a nice building. Had a good mix of exhibitions on and the rainbow panorama deck is a great experience! You simply have to visit. The building it self is worth visiting. The panorama walk is an amazing experience. So-so art museum pulling a scam on tourists charging bogus fees for foreign credit cards. If you question it, the manager will give you a story that they get charged fees abroad too, completely ignoring the fact that those fees are charged by her bank. At Aros you first get charged by them then a fee by your own bank. This despicable behavior is unfortunately common in small stores but places like Aros is a disgrace to our country treating tourists like this. The exhibits were all unique but this one sparked conversations later in the day. What a gem! Fantastic collection of temporary art served in beautiful surroundings. 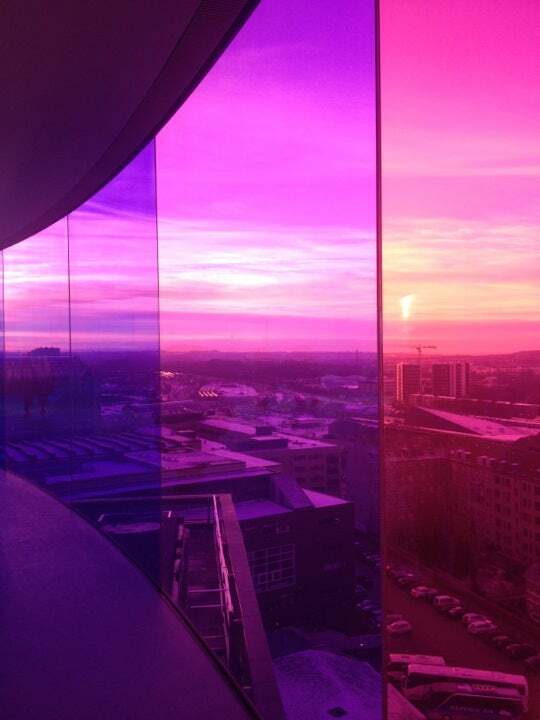 Go on Wednesday evening since they're open until 9pm and check out the sunset on the rainbow terrace! Rainbow is breathtaking! You must see it! Exibitions are very interesting. The rainbow is my favorite part of the building as you can see the whole city from there. Amazing and very inspiring place! 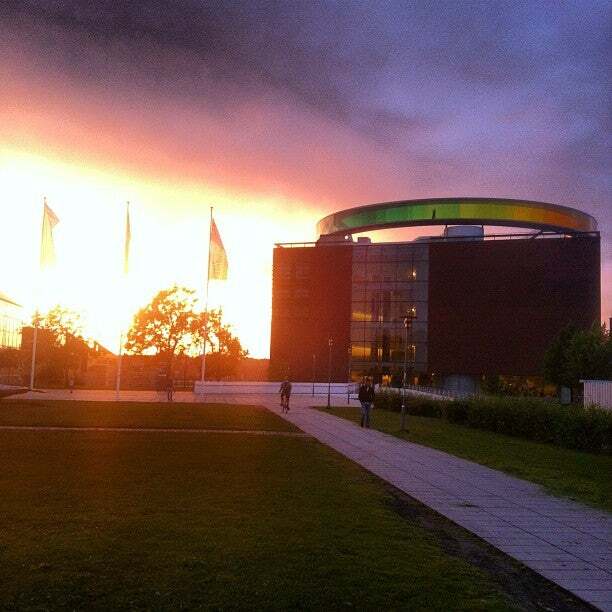 The Rainbow Panorama on the roof is beautiful in almost any kind of weather. 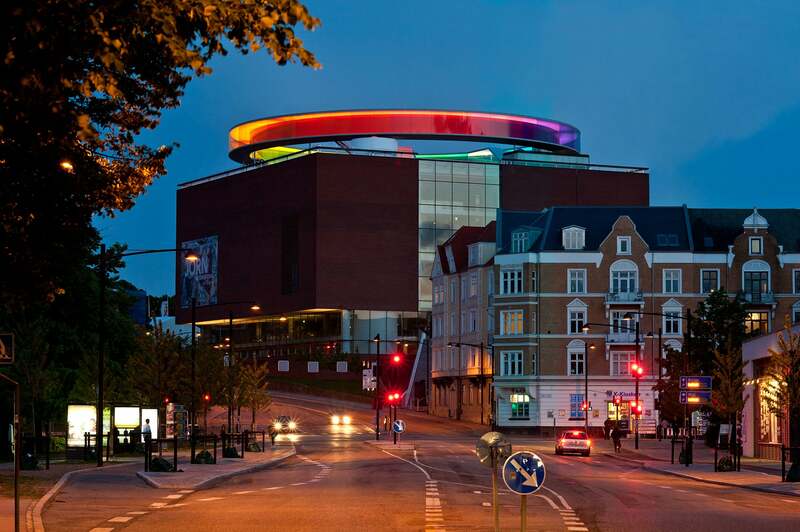 Du må besøke ARoS dersom du er i Aarhus. Fantastisk flotte og utfordrende utstillinger. This is a really cool museum. The layout, the art, the space itself - all awesome. What a place. Don't miss. 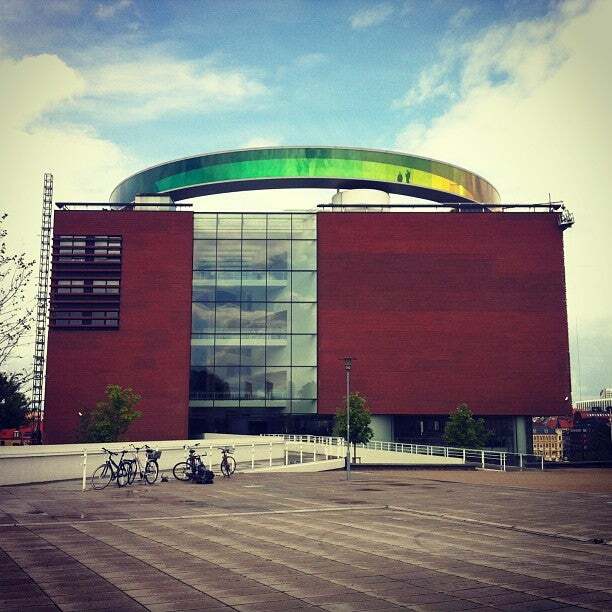 Except for the rainbow panorama, the museum couldn't really surprise me. 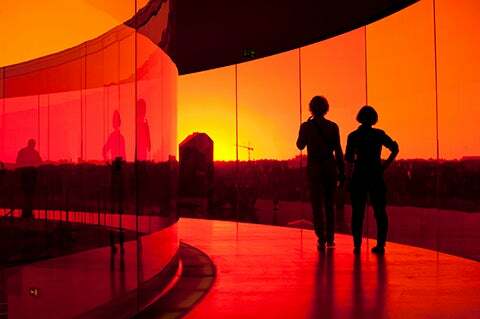 Fargerike opplevelser med Olafur Eliasson. Spiste idag frokost i Restauranten. Fantastisk value for money. 5 små anretninger, en speciel øl og en expresso for under 300 kr. Virkeligt lækkert. The shows are great. Do prepare at least 2 hours in it.